The Japanese Grand Prix at Suzuka may not count as one of the European “classics”, but it has carved out its own piece of unique history that puts it among some of the top races of the season. Scene of numerous World Championship deciders, Suzuka has seen plenty of the greats crowned, and produced some of the best races in living memory. If you want to see the driver/car combination earning their money, then the Japanese Grand Prix really is your last stop shop. Suzuka is located 400km from Tokyo on the southern coast of Japan. The city is a transportation hub for the country as a number of major Japanese train lines pass through the area. Since many people transit through Suzuka from other parts of Japan, the local dialect is actually a mix of languages from all around the country. Uniquely, Government officials in Suzuka are forced to learn all of those languages. The town is also home to a busy shipping port and this is partly why many large Japanese companies are based there, including Honda and Sharp. The region is prone to extreme weather and in 1959 suffered the worst typhoon in recorded history. Many Grand Prix visitors travel to the race from Nagoya which is just 50km away. Nagoya is the third biggest city in Japan and has a larger population than London. The F1 track itself is within Suzuka Circuit Land, an automotive theme Park complete with an impressive rollercoaster and monorail. Suzuka Speedway was designed by John Hugenholtz in 1962 and is easily more spectacular and exciting than anything Herman Tilke has come up with since. The circuit was built for the Honda Motor Company as a test track which meant that it had to contain every type of corner. Sochirio Honda himself had a very close involvement in the circuit’s construction and had an ambition to build one that rivalled the best racetracks in Europe. Legend has it that all the Honda boss did was send Hugenholtz a telegram saying “”I’m building a racetrack. Come to Japan. S. Honda”. Honda outlined the track design himself but got John to turn his ideas into reality. The neighbouring theme park was also built at the same time to entertain the employees of Honda and their families. The circuit started hosting international Motorcycle races in the 1980’s and attracted the Japanese Formula One Grand Prix by the end of the decade. The tight final chicane was added to the circuit before F1 cars first appeared in 1987. Suzuka is one of the fastest F1 circuits on the calendar and contains every type of corner. It is a favourite among drivers and fans because it is one of the most challenging racetracks in the world. It is the only circuit in Formula One that loops over itself which means it doesn’t cover a huge area of space. This also means there are a number of places where trackside spectators can view more than one section of track. There are eighteen corners on the circuit but only two of them are taken at less than 100kph. Many of the corners are taken at well over 200kph including the ferocious 130R bend that arrives at the end of the long back straight. The circuit is great for overtaking because the mix of fast and slow corners in the second half of the lap allows cars to race close together. The short run-off areas have been responsible for huge accidents in the past making Suzuka a circuit that demands respect. The Japanese Grand Prix has always been at the end of the season which means it has hosted a large number of memorable championship deciders. The title has been awarded at Suzuka on 10 occasions and has proven critical on a number of others. As such, it has been home to some of the most controversial moments in the sports history. The circuit is immensely challenging so is a place where gifted drivers stand out from the crowd. 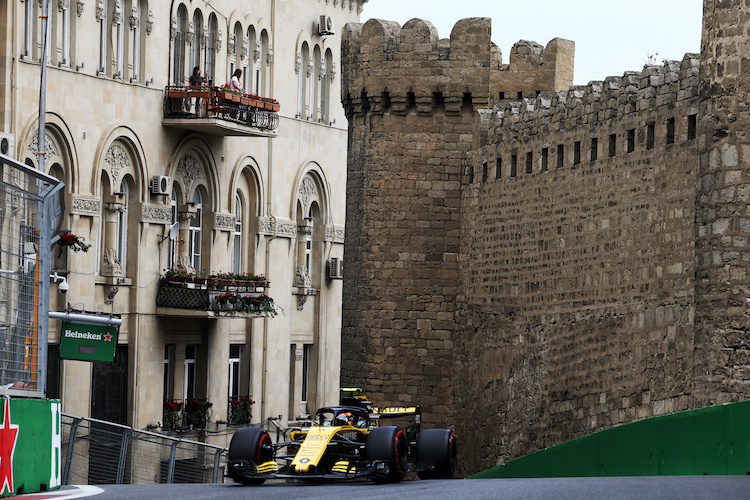 The circuit has more high speed corners than any other on the calendar which also makes it one of the most dangerous, especially since the run off areas are not as large as they are elsewhere. If a driver has an accident at Suzuka it is going to be a big one. The 130R corner had to be changed in 2002 after Alan McNish went off so violently that he actually crashed through two sets of barriers and wiped out TV cables. The race weekend is often disrupted by rain which can make qualifying a total lottery, and the 2004 meeting had to be rearranged due to a cyclone. The circuit is great for overtaking so drivers are able to storm through the field if required. Senna forced his way through the pack in 1988, and Michael Schumacher did the same ten years later. Kimi Raikkonen and Fernando Alonso followed suit in 2005. 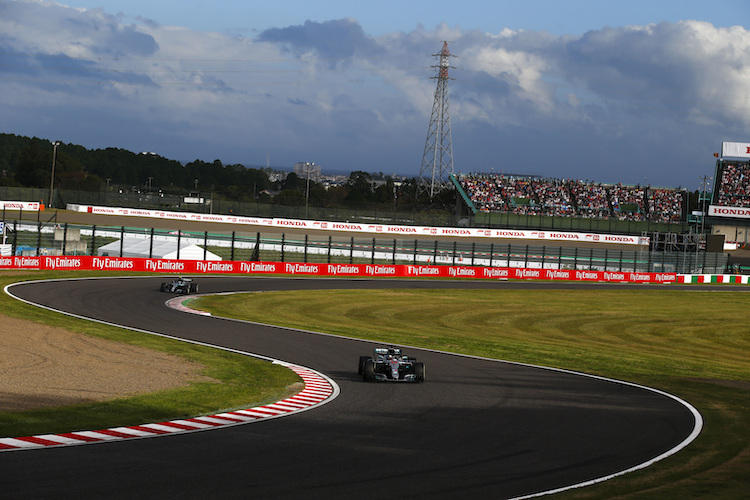 Suzuka is full of fast corners, variations in camber, and changes in elevation that combine to make it one of the most difficult circuits in the world. The first sector is probably the most challenging as the first corner starts whilst the drivers are still travelling at full speed. The four S bends behind the pits are treated by drivers as one long corner because the exit of one bend is the entry to the next. If a driver messes up one of the sweeping turns the whole section is lost to them. The fast right hand kink of the first degner curve is also a challenge because drivers can carry a lot of speed through there with no margin for error. The 130R corner out the back of the circuit once rivalled Eau Rouge as the most fearsome stretch of road in F1, but has since been tamed in the name of safety. The start at Suzuka is also downhill which gives the drivers an extra headache because they will need to keep their foot firmly on the brake until the lights go green. Suzuka almost always plays a crucial part in the World Championship and there is a strong chance it will do so again right near the end of the season. The weather is unpredictable, the circuit is fast and challenging, and the racing is close and exciting. It is one of the best venues that Formula One has ever visited and the race will be a highlight of the season. 1988: Ayrton Senna required victory in the race to secure his first World Championship, but it looked like mission impossible when he stalled and dropped to 14th at the start. However, Ayrton was a man possessed and produced one of his finest ever drivers to power through the field to assume the lead on lap 28. Senna claims to have seen god as he crossed the finish line to become World Champion. 1989: Alain Prost and Ayrton Senna took their season long championship duel to Suzuka where a win for either driver would all but secure the title. The two drivers disappeared into the distance and their battle for the lead raged for 47 laps, at which point Senna decided to make his move. Prost saw it coming and the result was almost inevitable. The two drivers collided, and whilst Prost was eliminated on the spot, Senna was disqualified for rejoining the circuit by cutting the chicane. There can be few more incredible moments in Formula One history than teammates crashing whilst fighting for the lead of a race that would decide the World Championship. 1990: Ayrton Senna qualified on pole position and wanted to start on the left hand side of the circuit, but his request was disallowed and he felt the injustice of last year. Vowing to seek revenge, Senna decided to ram his opponent off the road and did so with sinister accuracy, slamming into the side of Prost at almost 250 kph. Both cars were out on the spot and Senna was World Champion. Never before has a driver lined up his opponent so deliberately. 2005: A wet qualifying session left the fast drivers at the back of the grid and resulted in the most exciting Grand Prix of the last decade. Kimi Raikkonen powered through the pack from 17th on the grid to win the Grand Prix after a bold overtaking manoeuvre on the very last lap. Although Fernando Alonso could only manage third, his move around the outside of Michael Schumacher into the fearsome 130R bend signalled a changing of the guard in F1. Thanks for the great insight to Suzuka circuit. I will be going to the race next year, what grandstand do you suggest I sit in to see the greatest part of the circuit? Would you also have any information on drag racing and drift racing circuits in Japan. There are so many grandstands to choose from it’s a very tough question! Q1 and Q2 should be good as you sometimes get overtaking into that final chicane. Or, drivers line up a pass out of the chicane on the main straight which would be right in front of you. You’d also see the cars dive into the pit lane once the tyres have been eaten up. The ‘D’ grandstands, D1 – D5 would offer great views of sector 1 as the cars sweep left, right, left and right in front of you. The drivers love this section! Being an F1 man myself I cannot offer any drag or drift racing advice unfortunately! If I stumble across anything I’ll be sure to send it your way. Hi Pat – tickets are now on sale through BookF1. Check out the prices below. Let us know if you need any help!